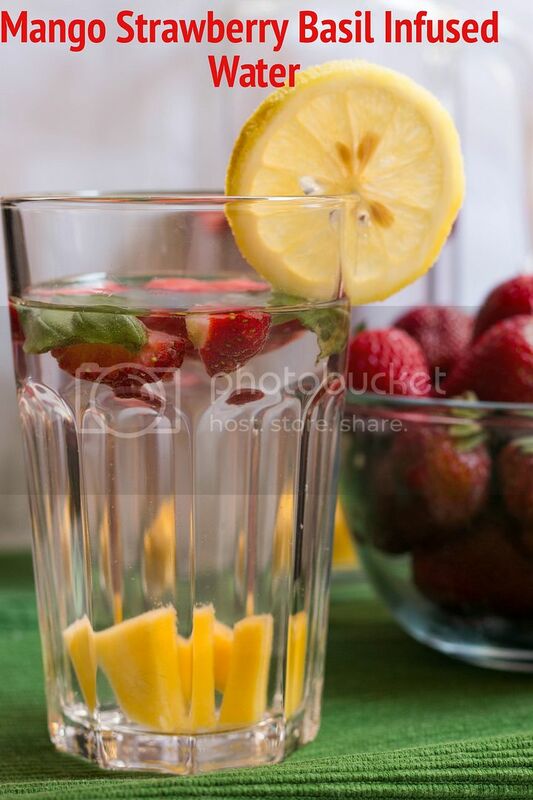 A colourful mix of mango, strawberry and basil make this fruit infused water a refreshing and exciting beverage to sip on hot summer days. Enjoy it with ice and/or a straw, beach and vacation are optional, thanks to this flavourful mix summer is wherewer you drink it! Summer is in full swing. Not only are the farmers’ markets full of vibrant red strawberries and cherries, the sun is scorching, the weather is hot and I wish I could spend the day reading a book in the shades on the beach or in my parents’ garden.